One of the oldest methods of making furniture is hotter than ever this season. One of the oldest methods of making furniture is hotter than ever this season. 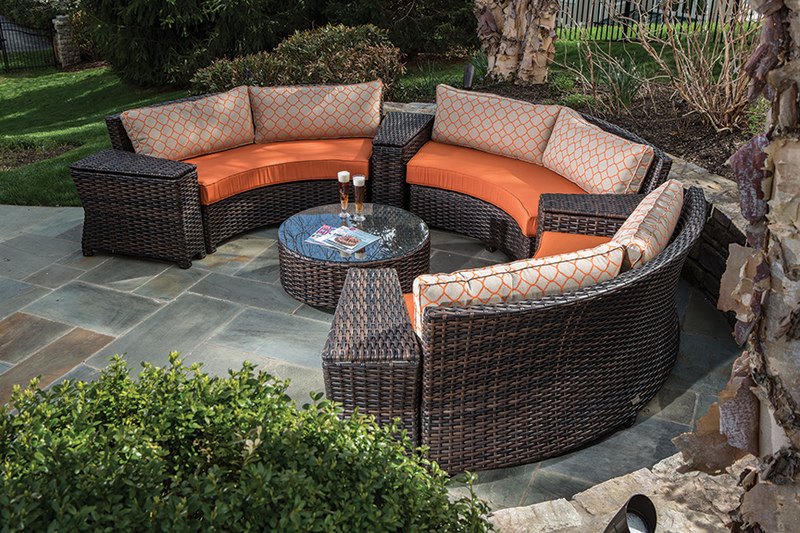 Wicker furniture gives your outdoor space a casual, airy feel. 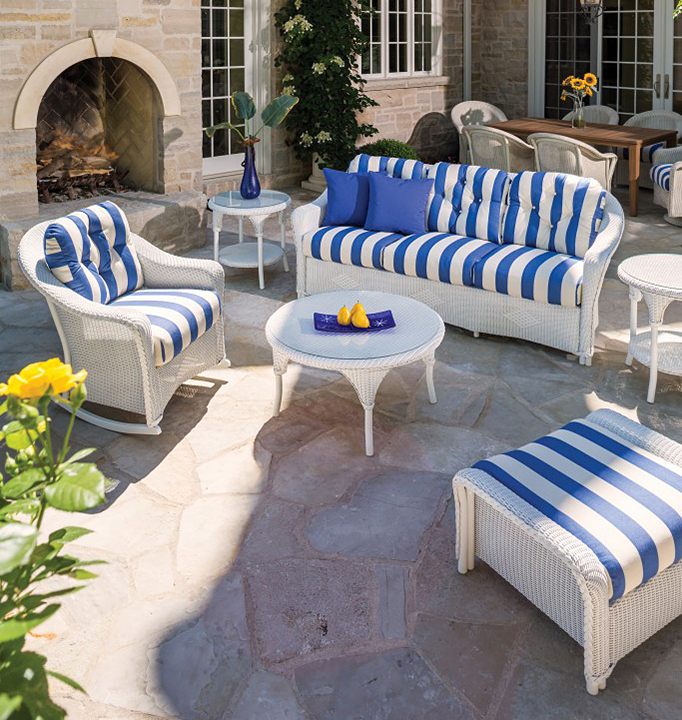 With elegant options in a variety of styles and colors, an outdoor wicker seating set finishes off your patio with style. one: Laurent wedge, available at Amini’s. 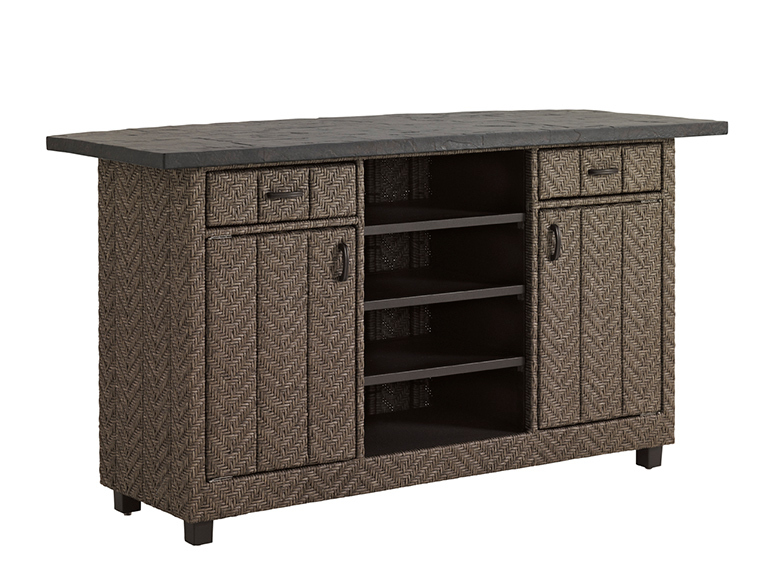 two: Blue olive serving bar base, by Tommy Bahama for Lexington Home Brands, available at KDR Designer Showrooms. 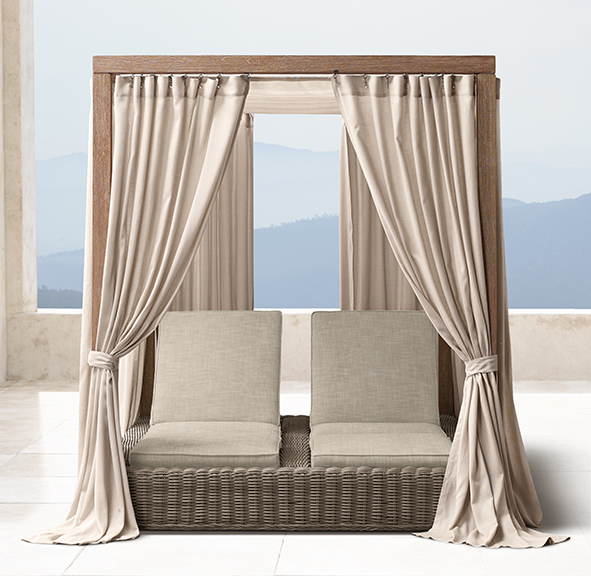 three: Provence canopy double chaise, available at Restoration Hardware. 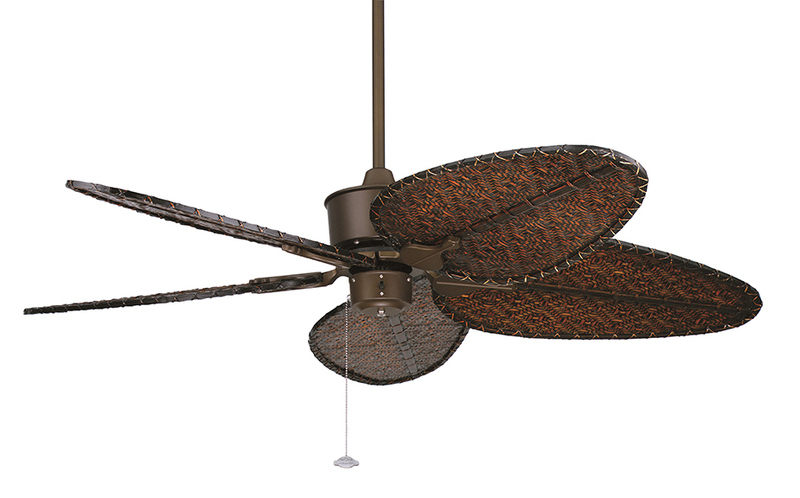 four: 52" ceiling fan, available at Wilson Lighting. 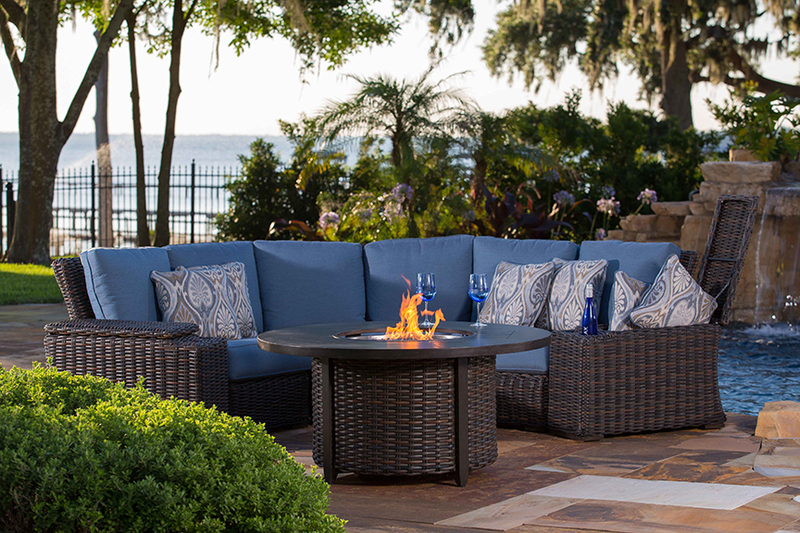 five: Amalfi curved sectional, available at Terra. six: Reflections, by Lloyd Flanders, available at Forshaw. 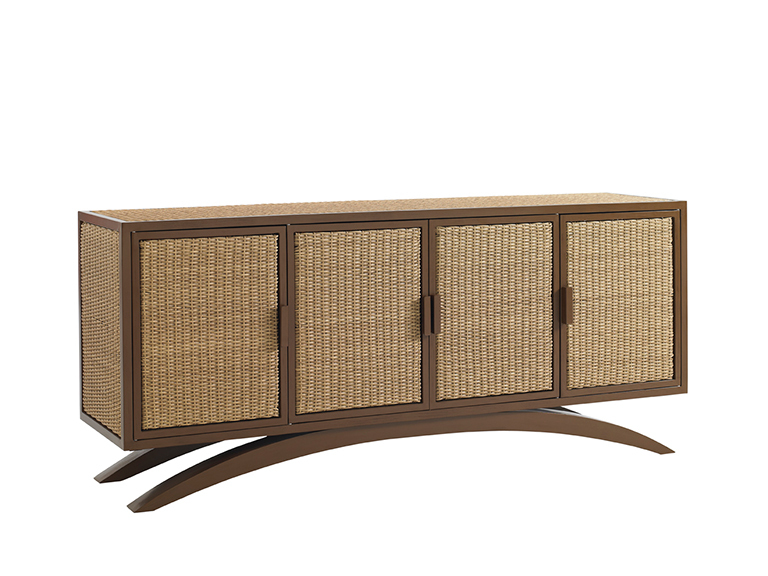 seven: Aviano buffet, by Tommy Bahama for Lexington Home Brands, available at KDR Designer Showrooms.